Texas hospitality is now here deep in the heart of Colorado, and like all things Texan, it’s here in a big way. 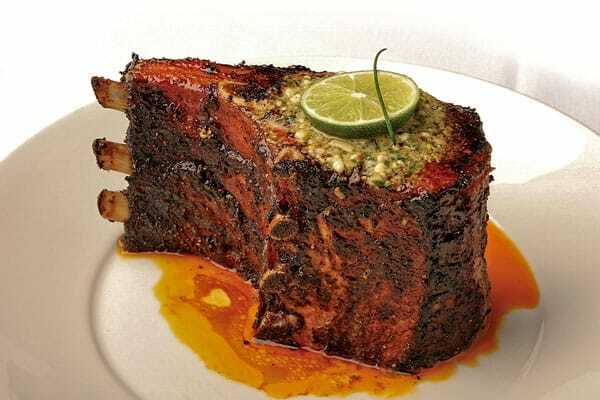 Perry’s Steakhouse and Grille, a Houston-area favorite, has a new home in The Vistas at Park Meadows Retail Resort. The food, presentation, décor, and attentive service all work together to create a dining atmosphere that is casually elegant and pleasing to all the senses. 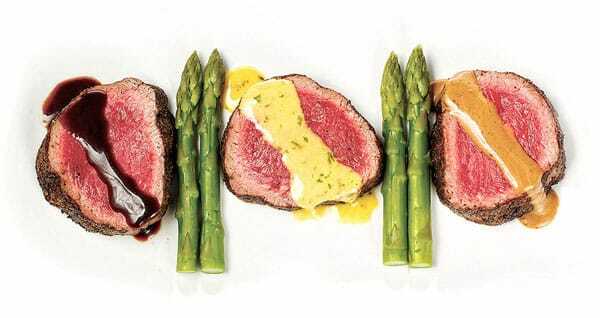 On a recent visit, I enjoyed some familiar steakhouse favorites like Filet Mignon and Chateaubriand, both of which were complimented by delicious, savory sauces (my favorite was the peppercorn sauce). There were a few less traditional foods, too. 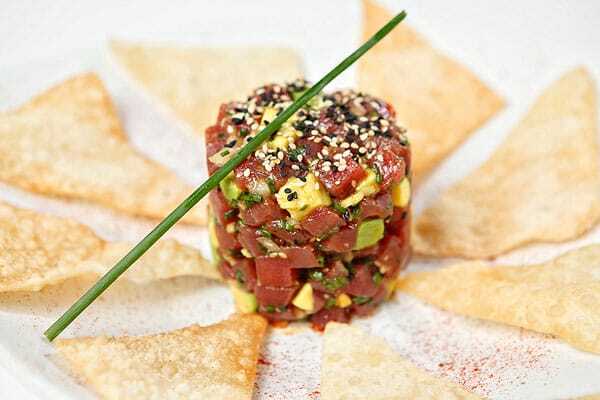 The Asian Ahi Tuna Tartare was a simultaneously light and rich treat. But the real showstopper is “Perry’s Famous Pork Chop,” seasoned to perfection and cooked until tender, it’s the restaurant’s signature dish. 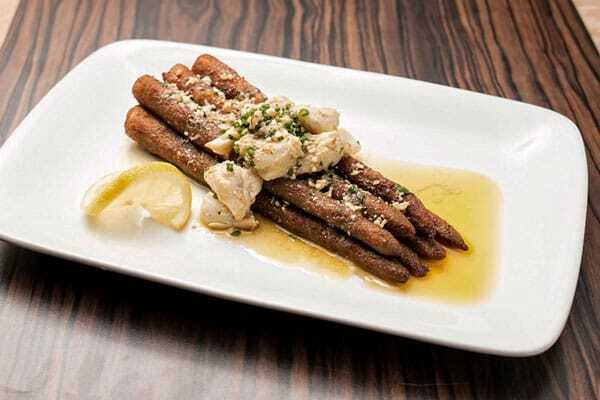 A Texas-sized “seven fingers high” portion means you can enjoy a chop for dinner and then again the next day for lunch. The massive chop is carved tableside, and allows the restaurant to highlight its roots as a Houston-area meat market owned by Bob Perry. Son Chris came on the scene in the late 1980s and added a small restaurant, which has now grown to eleven locations. Drinks are an important part of the Perry’s experience too. The bar, called Bar 79, has a wide selection of “mixology” mixed drinks, including a popular trio flight of martinis, perfect for sampling. 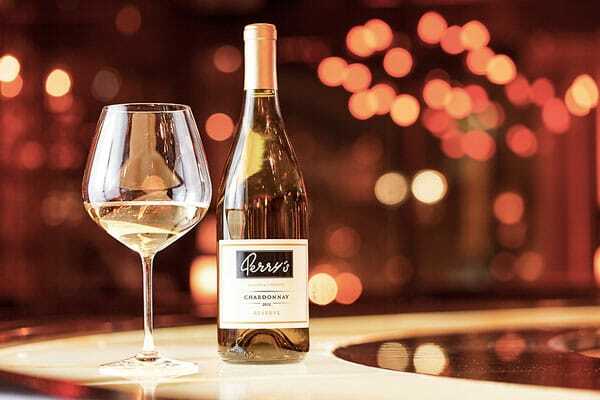 Wine selection at Perry’s is vast, and includes private-label selections that compliment the food to perfection. For especially discerning connoisseurs, private “wine lockers” are available for reservation on an annual basis. The locker allows for patrons to have access to special wine offerings, as well as other VIP events at the restaurant. A special meal deserves a special finish, and Perry’s has decadent treats ranging from chocolate dipped strawberries to a luscious rocky road bread pudding. The “Nutty d’Angelo” – named for a Texas restaurant equipment vendor – is a house favorite that features vanilla ice cream, white chocolate and toasted almonds topped with flambéed pecans, brown sugar and brandy. Perry’s new home at Park Meadows is the first in Colorado, a market that Chris Perry is excited to be entering. The 11,000 square-foot restaurant accommodates more than 400 guests. Features include an open concept kitchen, a towering wine wall, an island bar, and four private dining rooms for groups and special occasions. Hardly a traditional stuffy steakhouse, Perry’s philosophy of design and architecture is driven by each individual location. Prominent windows provide sprawling views from the bar that create an ambiance that stands out from the competition. Perry’s is open for lunch on Fridays only; lunch service features a special “lunch cut” pork chop, as well as other special lunch fare. Dinner is served seven days a week; hours vary. 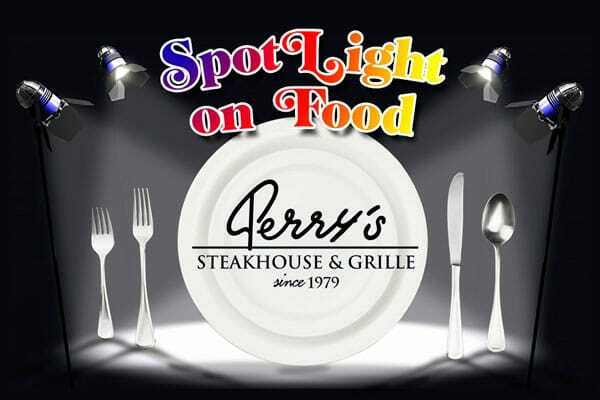 For more information about Perry’s Steakhouse and Grille, visit, www.perryssteakhouse.com. For information about a wine locker, contact Matthew Griffith at 303-792-2571.